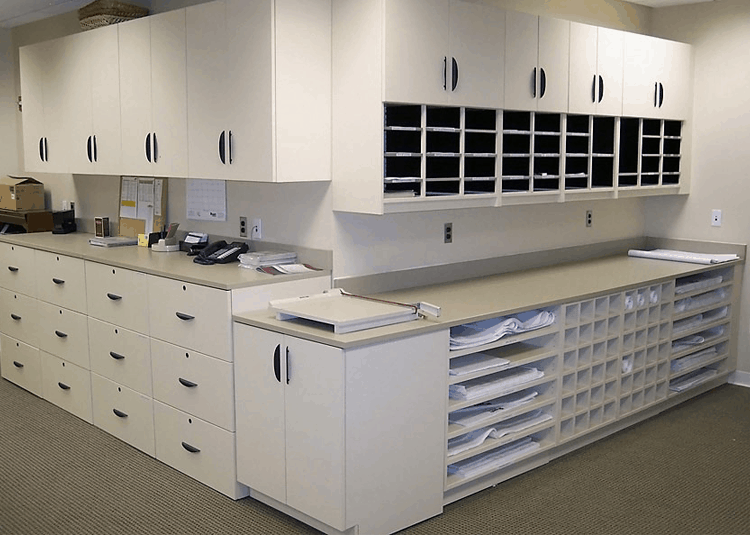 The options for our modular casework include but are not limited to: wall cabinets, tall cabinets, base cabinets and storage cabinets. Each piece of our Modular Casework Systems honors a seven-year depreciation schedule as well as a limited lifetime warranty. 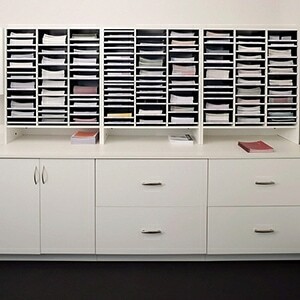 No office is complete without an Adjustable Shelf and Organizing Module. We’d love to customize one for you. The best part is, if the need for the module changes over time, it is extremely easy to reconfigure. 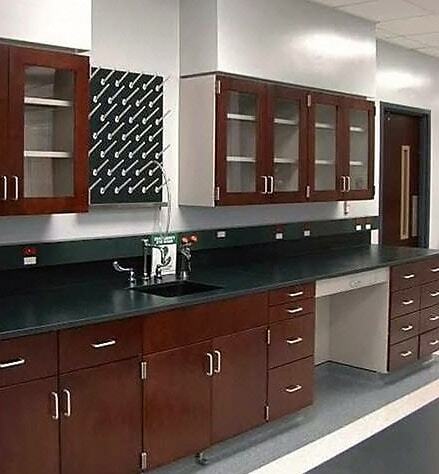 From work rooms to break rooms to patient rooms, our Laminate Cabinets have a sleek look that is incredibly easy to maintain. Who knew storage furniture could be so visually appealing? We did. 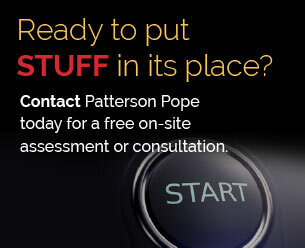 If you are looking for cabinets with ultimate durability, we recommend our Powder Coated Steel Cabinets. Not even scalding water or harsh chemicals could damage the surface of these cabinets. They are definitely built to last. 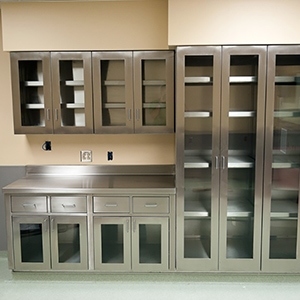 Our Stainless Steel Cabinets not only look stunning but are easy to clean; this makes them ideal for laboratories and hospitals as a means to help with infection control. Our glass door option is a great solution for keeping items organized and visible at all times.